I don't know a lot about bikes and bought this frame about 5 years ago in Montreal. 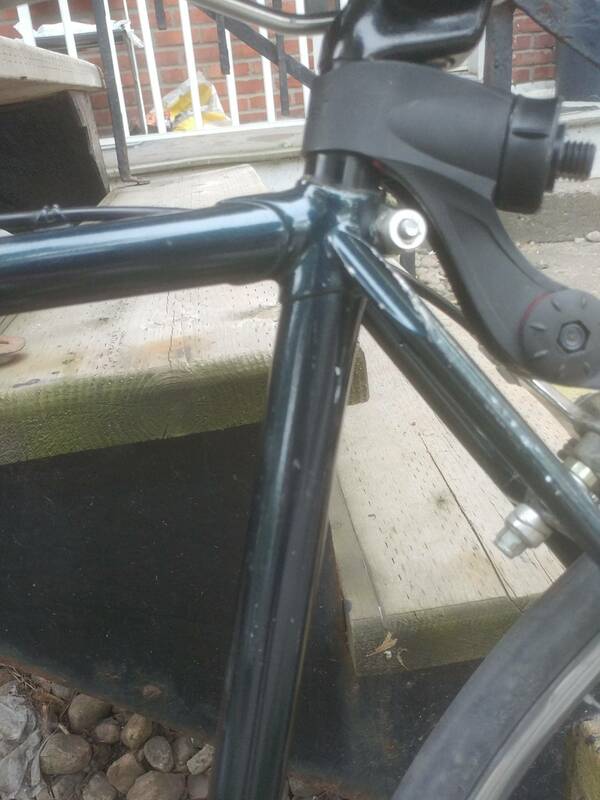 It was repainted and looks like an old touring frame. 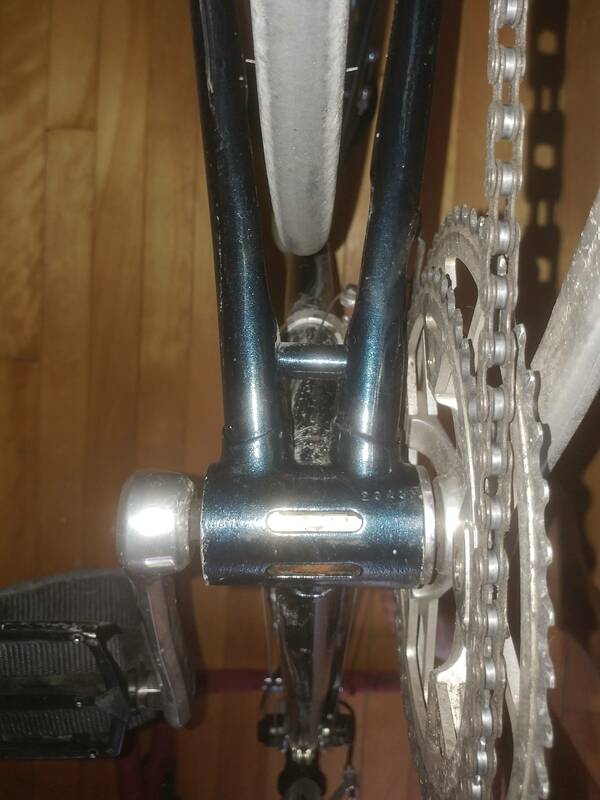 It is very light steel, very low (close to the ground), doesn't have the original fork (1") and the bottom bracket had to be ordered from an italian manufacturer. The photos are not great, but as I didn't know what to shoot exactly, I thought I'd give it a try. 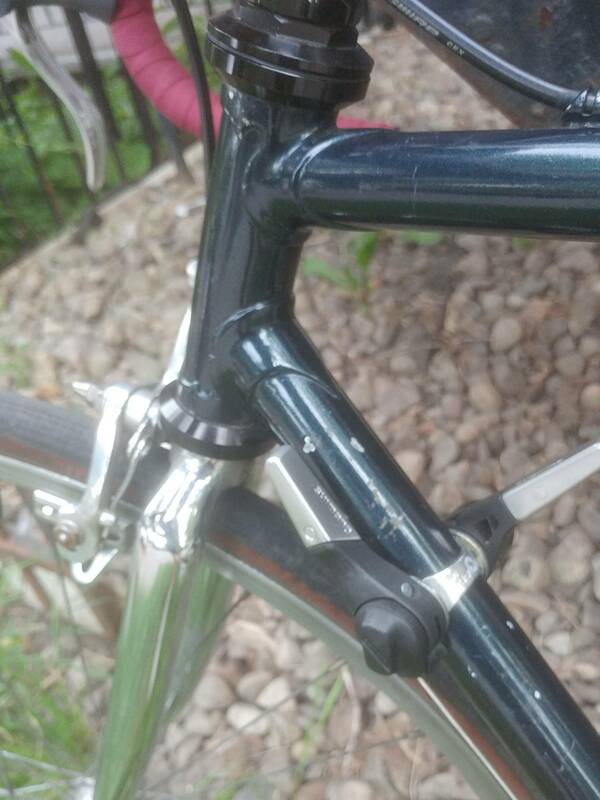 Can someone help identify this frame? Back in the day, the quick way to tell the road-race style bikes from the road-tour bikes was to look at the wheel clearance. 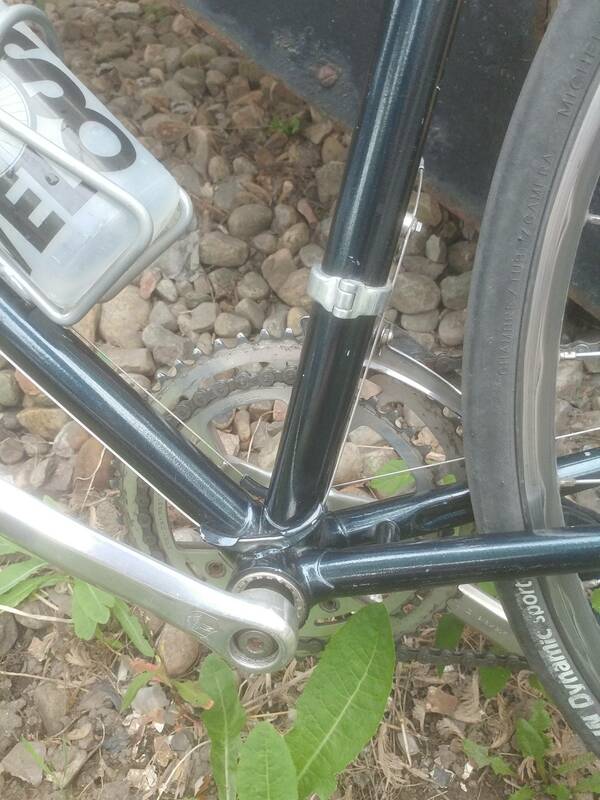 The race bikes would have very little clearance (~1cm) between the rear wheel and the frame, and the touring bikes tended to have closer to 5cm. 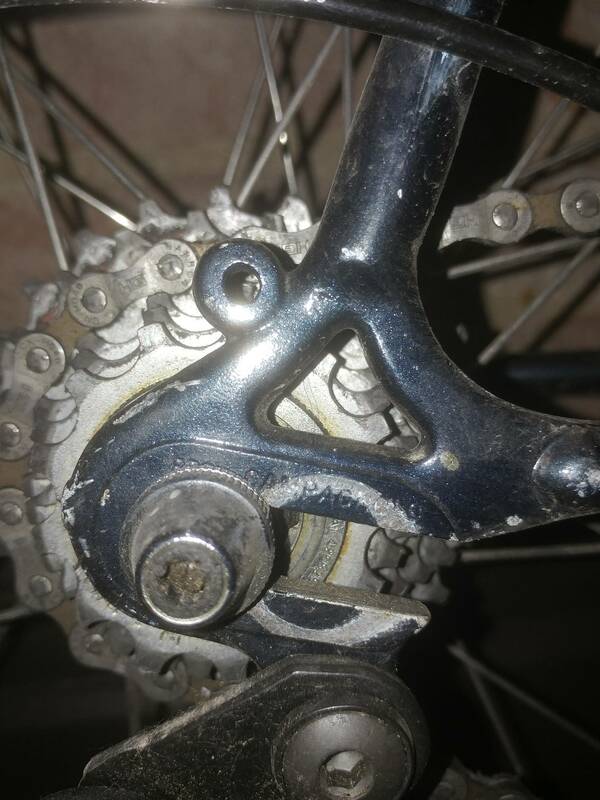 This is why from a distance it looks like a touring frame, but up close you can see that the positioning screws in the rear dropouts are missing, and the wheel settles into a location much further back than it should. 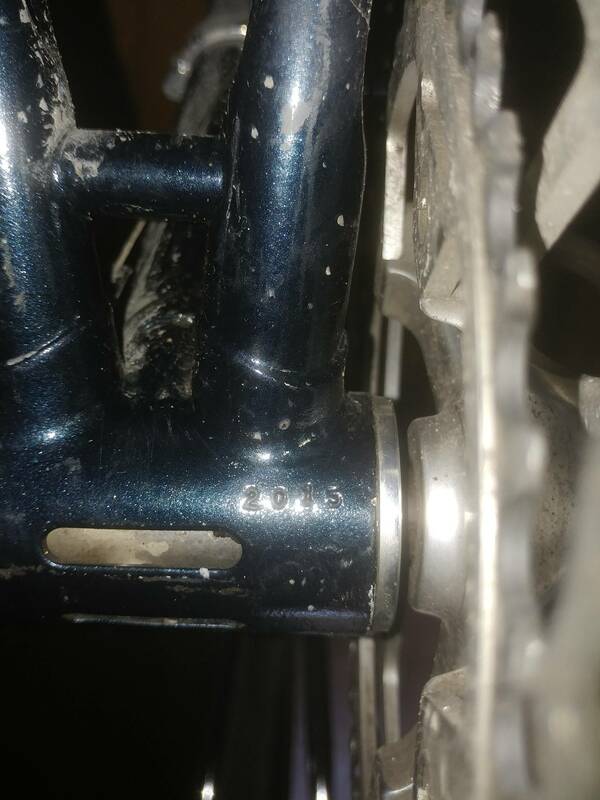 You can see the scratches in the dropout from the original wheel position. You might want to replace those screws. In any case, it's not a touring bike. The Italian BB thread is a big clue. According to https://www.sheldonbrown.com/cribsheet-bottombrackets.html there were a few French makers that used Italian threads as well. Not the answer you're looking for? 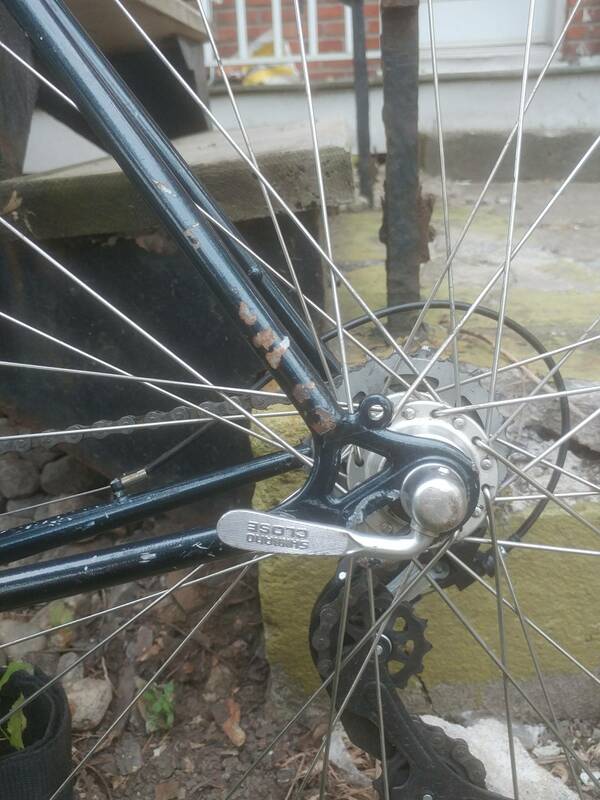 Browse other questions tagged touring identify-this-bike vintage or ask your own question. 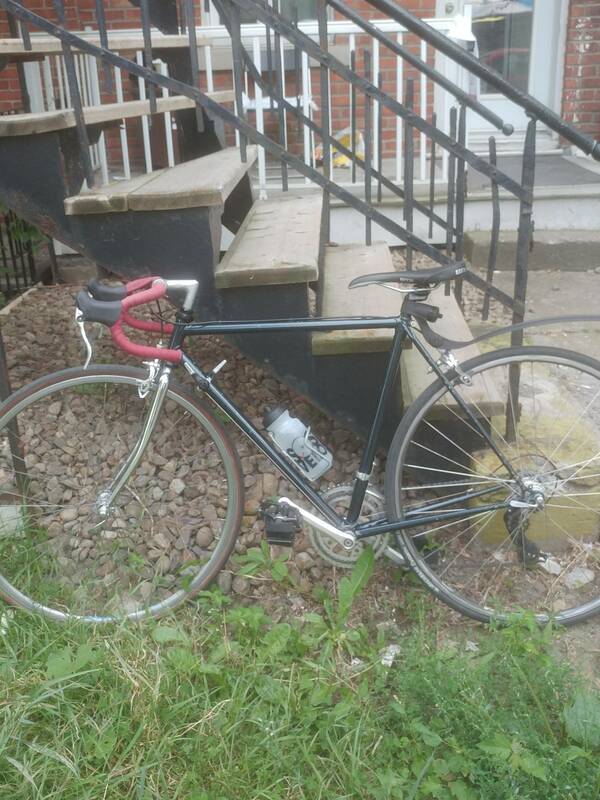 Can someone help me identify this bicycle? 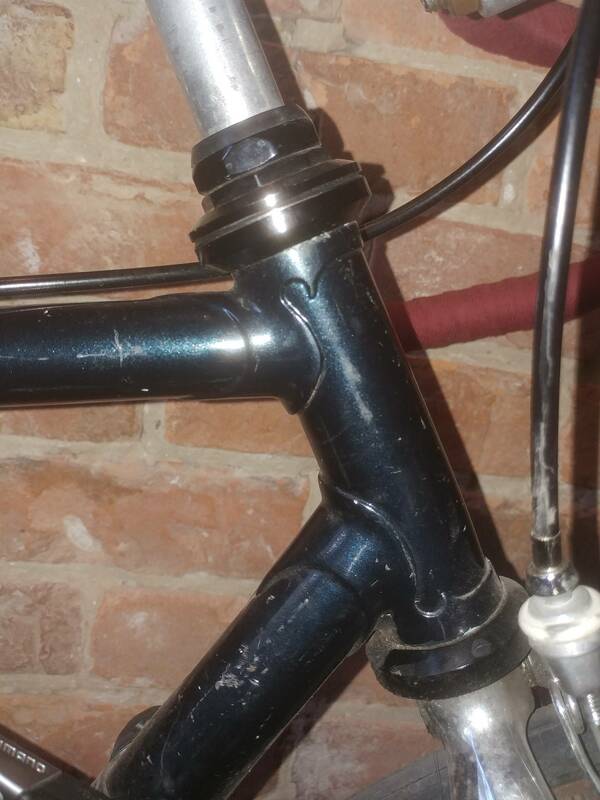 Can someone help identify my bike frame? 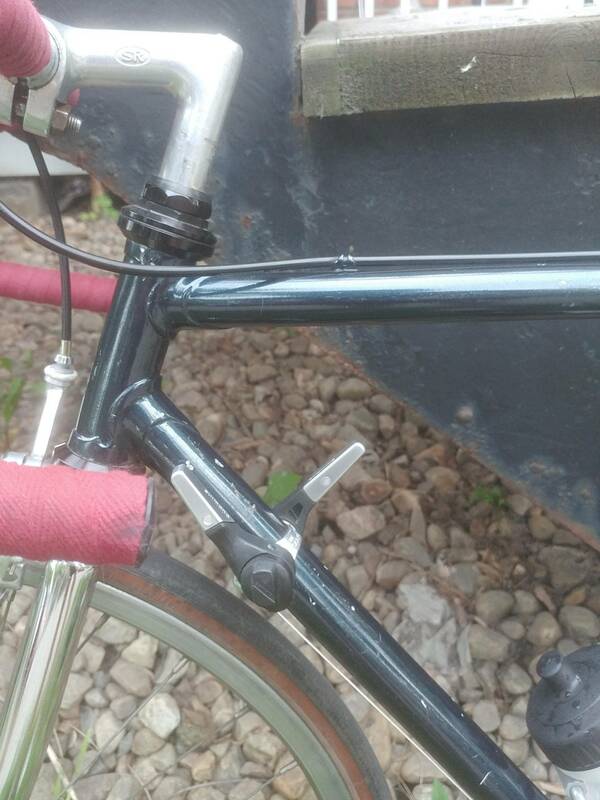 Could someone help me identify this bike? 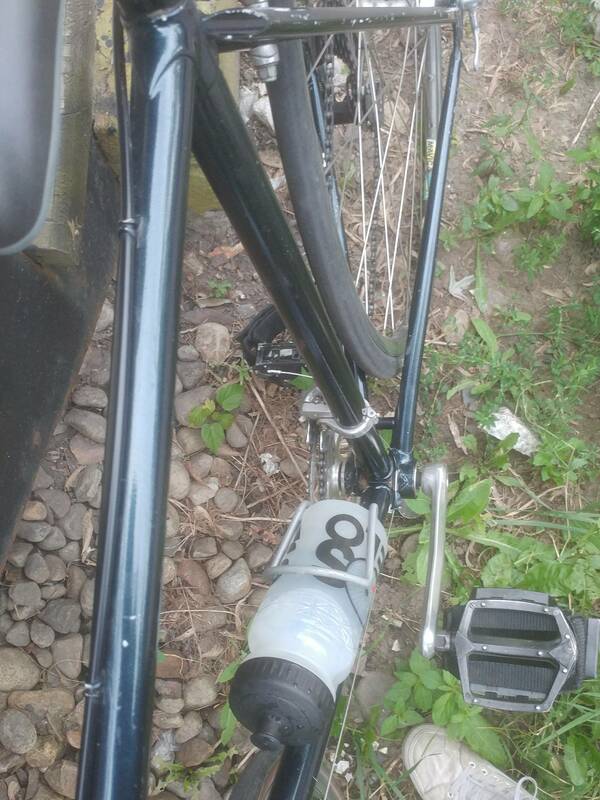 Can someone help me identify the bike frame?